An interest in colour and texture led Eleanor to a BA in textile design at the Central school of Art and Design. This later developed into fine art and illustration. After researching and illustrating the age-old story of Inanna from Ancient Sumeria, Eleanor became inspired by the gentle and distressed colours of fresco. 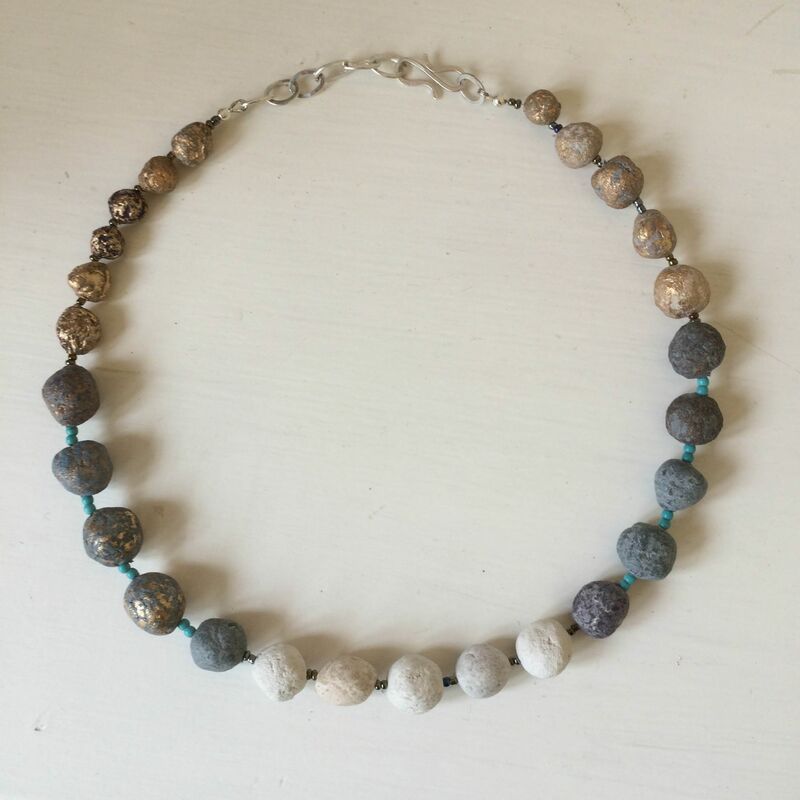 Eleanor’s necklaces are inspired by the ancient beads on show at the British Museum. The intention is to make each bead look like an ancient well worn discovery. Flecks of gold glimmer through the neutral shades, could this be buried treasure? Occasionally a more solid patch of gold emerges. Each bead is unique in that it is hand made. The basic material is paper fibre which is remarkably tough and versatile; it takes paint well, and responds to tumbling to produce just the damaged effect she is looking for. The beads go through many processes in order to resemble that age-old buried treasure look.